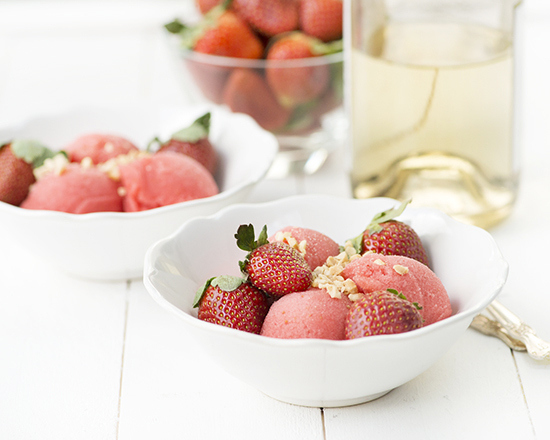 A Dash of Compassion » Strawberries & champagne sorbet from Sweet Eats for All + a giveaway! 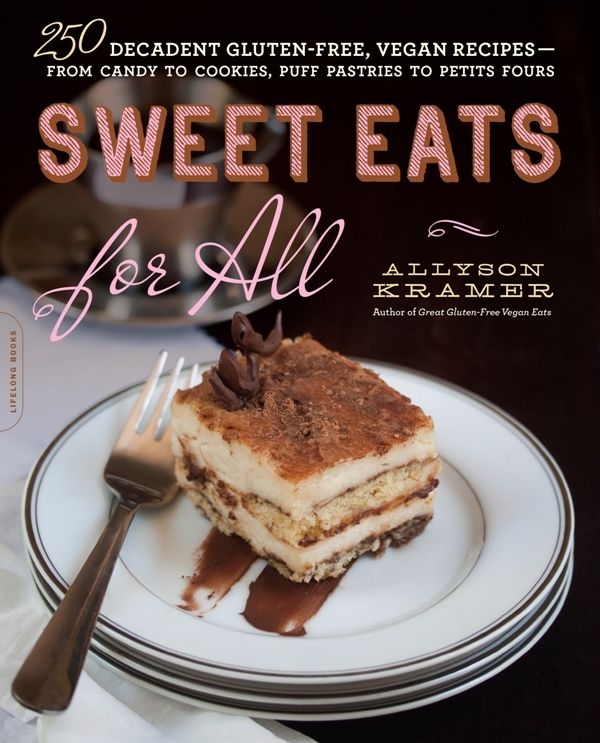 Confession: I am crushing on Allyson Kramer and her new book, Sweet Eats for All. If you’re a home baker like me, I bet you’ll fall head over heels, too. 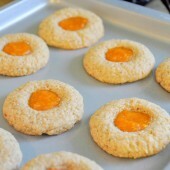 Here, Allyson shares creative twists on classic confections that will satisfy anyone following any sort of special diet. 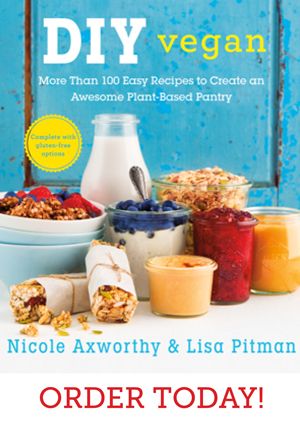 She’s got everyone covered: all 250 recipes are free of gluten and animal products; you’ll also find recipes free of soy, nuts, and corn, as well as an entire chapter devoted to treats free of refined sugar. 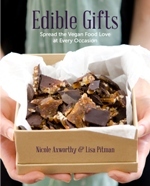 As a popular blogger and author of Great Gluten-Free Vegan Eats and Great Gluten-Free Vegan Eats From Around the World, Allyson knows her stuff and really does aim to please. 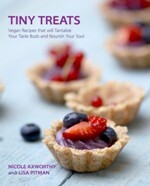 Her first two cookbooks have become essential guidebooks for anyone adhering to a vegan and gluten-free lifestyle. This new book is an excellent companion and, well, really a dream come true for vegans, kids, bakers and dessert lovers, and is a must-have if you bake for people of different dietary persuasions. I’ve made a number of recipes from the book, including gingerbread squares, peanut butter chocolate chia pudding, cinnamon raisin bread and this strawberries and champagne sorbet, and I still find myself thumbing through it on a regular basis. There is just so much awesomeness in this book. Need a recipe for Thanksgiving, Christmas or Easter? An easy summer treat or the perfect kid-friendly birthday cake? She’s got you covered. If you’re new to vegan and/or gluten-free baking, no problem. Allyson shares all her expert knowledge and secrets of success in the first chapter—Stocking a Sweet Pantry covers all the essential ingredients and tools of the trade, as well as recipes for homemade basics like simple syrup, cashew cream, mascarpone and whipped coconut cream. Think you can’t pull off a vegan and gluten-free New York-style cheesecake, flaky homemade puff pastry, perfectly crunchy honeycomb candy, or a Devil’s Food cake complete with rolled fondant and fluffy chocolate frosting? Allyson is here to show you how you can. This book has lots of less intimidating recipes too. 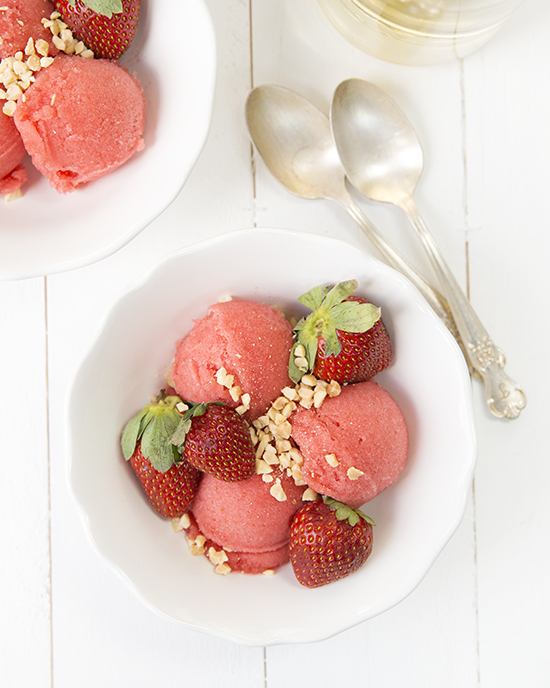 If you’re looking for a simple recipe to share with your sweetie on Valentine’s Day, I highly recommend trying out Allyson’s recipe for strawberries and champagne sorbet, from page 199 of the book. It’s incredible, and only requires four ingredients! 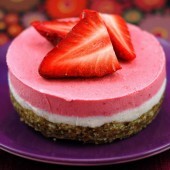 In a food processor, pulse together the pear and strawberries until well chopped. In a separate bowl, gradually mix the Prosecco with the sugar and stir gently to dissolve. Let rest for about 5 minutes and then stir gently again. Drizzle about ½ cup of the Prosecco mixture into the food processor and blend until quite smooth, for about 1 minute, scraping down the bowl as needed. Add in the rest of the Prosecco mixture and blend until very well combined. Transfer to the bowl of an ice cream maker and process according to manufacturer’s instructions or by following directions on page 186. Thanks to my friends at Da Capo, I have the opportunity to gift a copy of the book to one ADC reader! This giveaway is open to residents of the US and Canada. Enter using the Rafflecopter widget below and I’ll choose a random winner on Friday, February 20, 2015. Good luck! I have both of Allyson’s previous book, and they’re great. Now, your review makes this one sound even better, if that is possible! The first of my favourite desserts (note the plural!) that came to mind right now is mom’s apple crisp. Simplicity at its best! Hard to choose one favorite, but I have to go with black bean brownies! Yum! 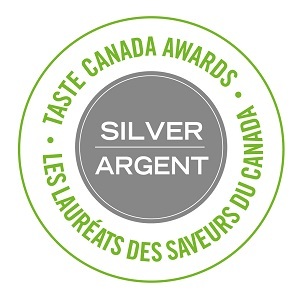 This book sounds great and thanks for the opportunity to win…I have a few food allergies and this would be a welcome addition to my small rotation of recipes.. Trying to find delicious vegan recipes in my quest to change our eating. 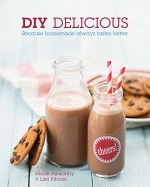 This cookbook sounds wonderful and I definitely would love to try anything chocolate as this is a family favorite! Thanks for the give away and your enthusiastic review! I love a nut-based, flourless dark chocolate cake! We will have to try this ASAP! It looks amazing! I love cheesecake, especially with mixed berries. Hot cocoa with coconut whipped cream! Coconut pie is my favorite. I’ve not had this since going vegan but I’d love a carrot/cheezecake combo. Best of both worlds. I like dessert pizza. It is very good. I love fruit. Jello cake is also good. My favorite is warm homemade apple pie with vanilla ice cream. I always like making a trifle because you use a pound or angel food cake, some sort of fruit, pudding and whipped creme and just layer it over and over. Strawberries and vanilla pudding are our favorites! 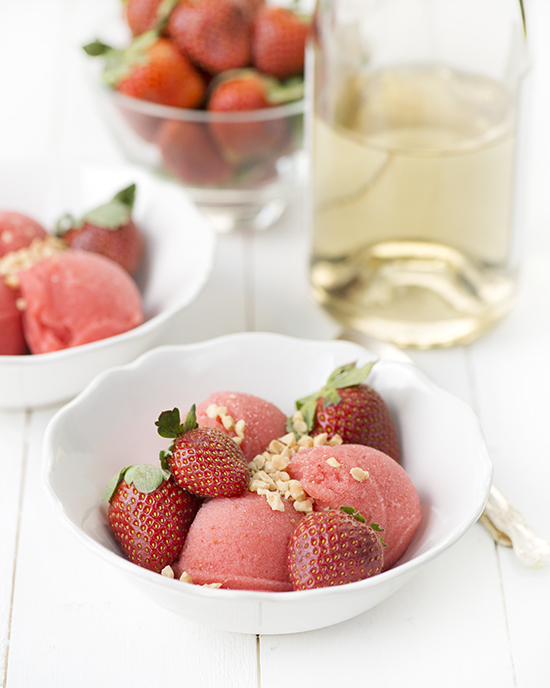 I liked the Strawberries & champagne sorbet recipe. I think that would taste really good. My mom’s apple pie, for sure. But, when I’m not home (and therefore don’t have access to her cooking), I have a new favorite super simple vegan chocolate cake that I love! My daughter cooks the best Vanilla Bean Cheesecake fro scratch. It is so good. It has become my favorite desert. I love making (and eating!) homemade pecan pie tarts! 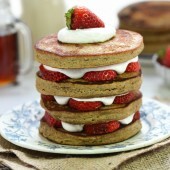 My favorite recipe is a banana cake (2 layers) with a homemade peanut butter icing both between the layers and on top. It never last the day in our house. My favorite desert is vegan chocolate cake!! I think that the Strawberries & champagne sorbet sounds like a nice recipe. I love chocolate mousse tortr.